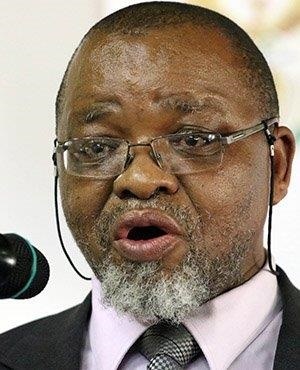 The Minerals and Petroleum Resources Development Amendment Bill had to be withdrawn because it spent too much time in the legislative process and had become irrelevant to the industry, Mineral Resources Minister Gwede Mantashe has said. Mantashe was replying to questions from members of Parliament in the National Assembly on Wednesday afternoon. Earlier in the month, Cabinet agreed that the bill would be withdrawn, allowing Mantashe to consider possible legislation specifically for gas. African National Congress MP Imamile Pikinini asked Mantashe how the newly gazetted Mining Charter would achieve its objectives of stimulating the economy, while creating regulatory certainty, sustainable growth and a competitive and transformed mining industry. In a supplementary question, Economic Freedom Fighters MP Ntombovuyo Mente asked Mantashe why the Minerals and Petroleum Resources Development Amendment Bill was withdrawn from Parliament. "If you have amendments that stay on the table for more than five years, they will become irrelevant. "Divisions in the National Council of Provinces will suggest that they will not pass but subscribe. We wanted to start from scratch and deal with the sector properly," Mantashe answered. Asked by ANC MP Sahlulele Luzipo about the benefits of the latest Mining Charter, Mantashe said: "The gazetting of the charter has removed one of the most pronounced sources of regulatory uncertainties. This has an impact on investor sentiment but we know it is not sufficient to remove uncertainty." Democratic Alliance MP James Lorimer asked Mantashe: "If the Mining Charter charter fails to secure investment that you have promised in a year, will you admit that you are wrong, that you cost us jobs, and resign?" Mantashe cautioned Lorimer against getting ahead of himself, and told him that investor sentiments had improved dramatically in recent months. "You’re putting the cart before the horse. If you were part of the investment conference, you would have seen the fundamental change in investor sentiments affecting various industries. There is no need to be negative about the industry or the country," said Mantashe.